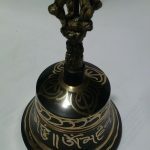 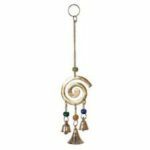 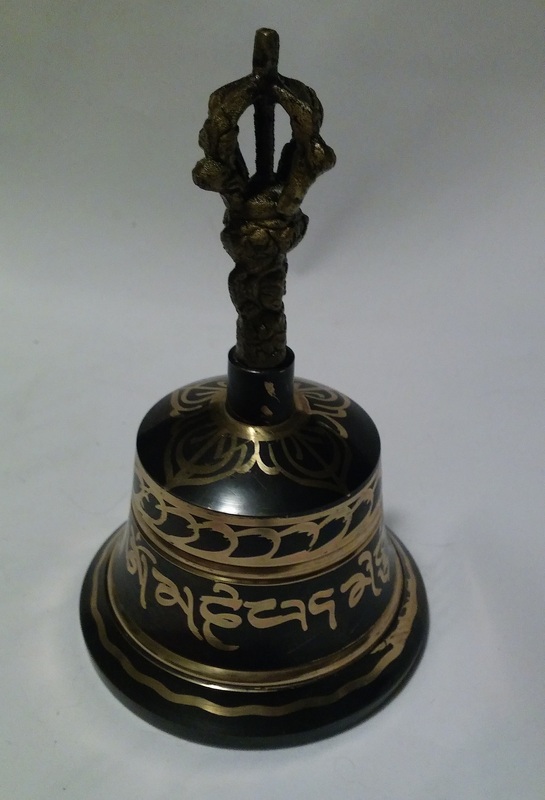 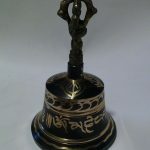 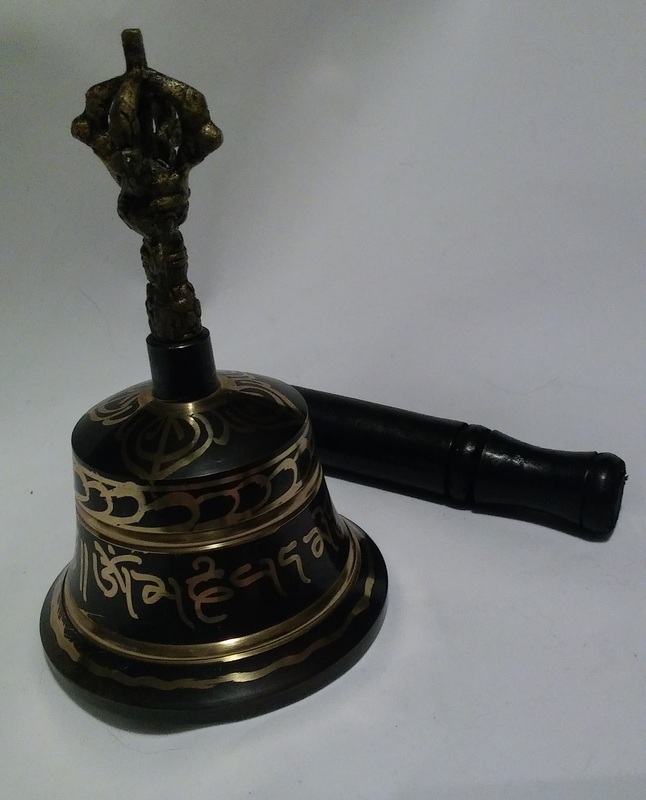 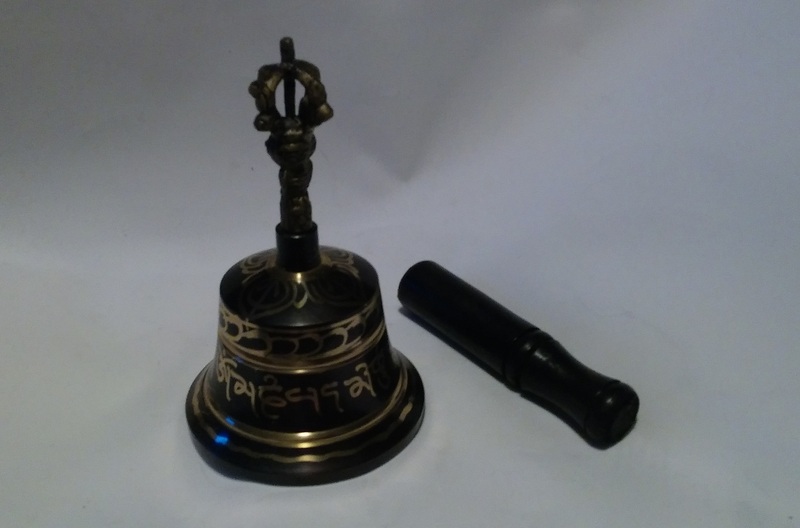 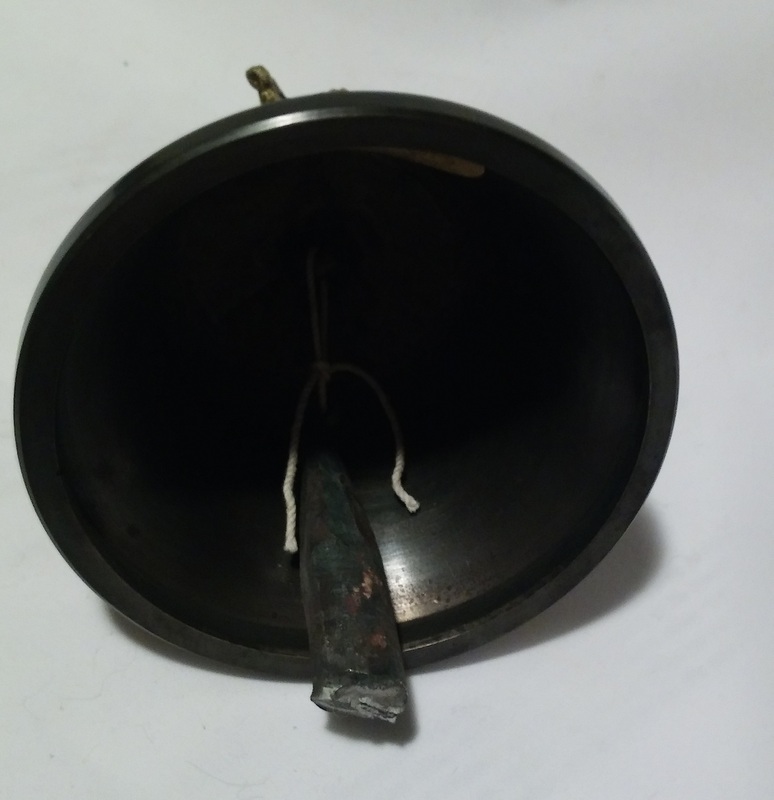 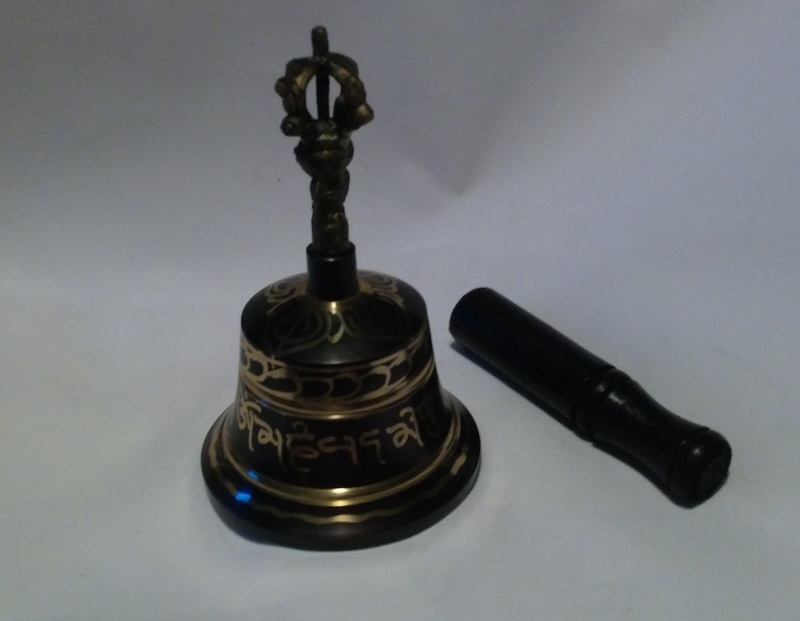 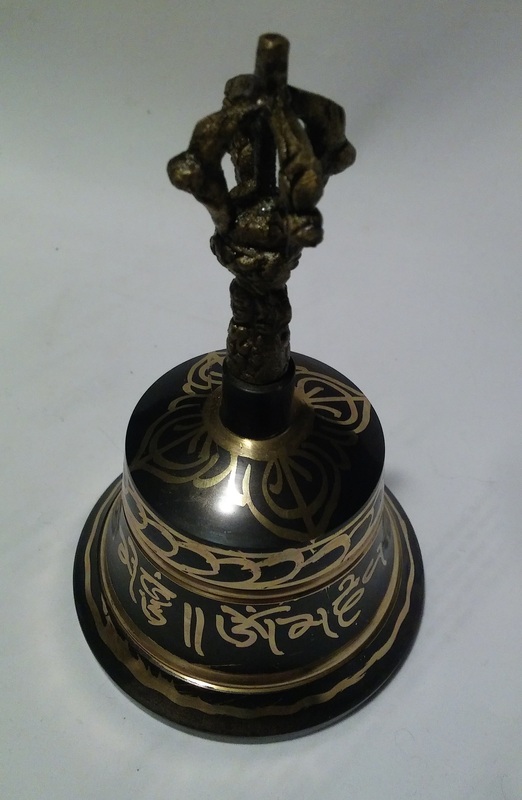 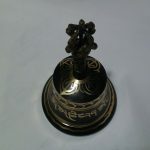 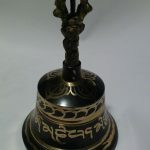 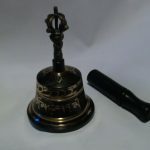 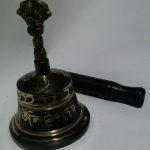 Black Tibetan bell with solid metal clapper, also comes with a black wood striker for dual use. 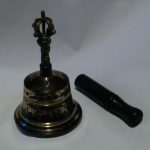 Bell is 5 1/2″ tall, 3 3/8″ across bottom lip. 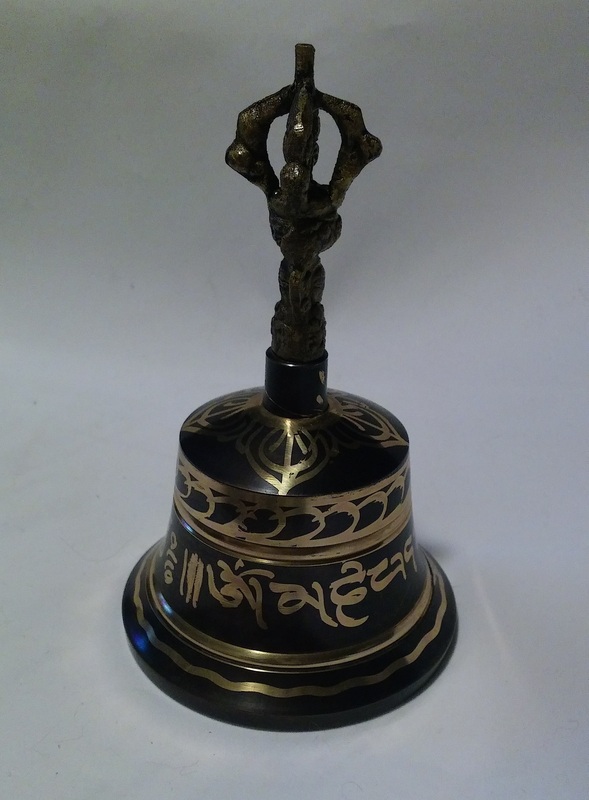 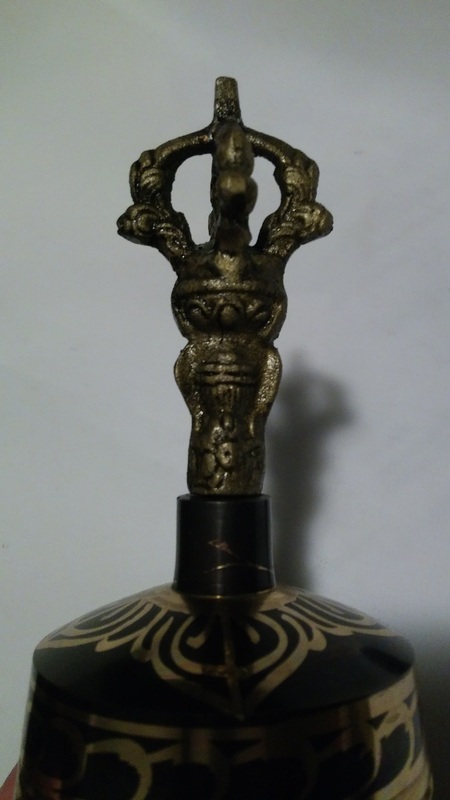 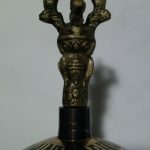 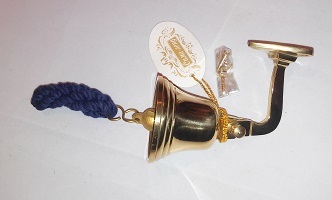 Handle is black and gold carved, bell is solid metal painted black with gold detailing.